The tragedy began when, with reckless disregard for logic, morality or even common sense, then-prime minister Yitzhak Rabin and foreign minister Shimon Peres APPEASED PLO chairman Yasser Arafat and magnanimously agreed to give him control over parts of the Land of Israel in exchange for an empty promise of peace. Overnight, the reviled revolutionary, whose resumé included ordering plane hijackings, school massacres and the slaughter of civilians, was granted international legitimacy. The accords which were ratified by the Israeli Knesset have NEVER been ratified by the Palestinians, so to say they will cancel them is hypocrisy of the highest order. The very day Arafat returned home to an ecstatic welcome he travelled in a motorcade with terrorists, something specifically stated in the accords he should not do and nobody said a word. From this act alone, the scene was set for Arafat to constantly thumb his nose at the international community. No-one was prepared to disrupt the “peace” process. Consider the following: in the ﬁve years after the signing of Oslo, more Israelis were killed by Palestinian terrorists than in the 15 years prior to the signing of the agreement. A total of 279 men, women and children were murdered in the half-decade following the accords, while 254 were killed in the previous 15 years. In other words, Oslo brought in its wake an unprecedented wave of terrorism the likes of which Israel had never seen. For the sake of “peace,” the Palestinians were allowed to act with impunity. In effect, Israel gave up large swathes of land, but instead of peace, all it received in return was treachery. Just as happened in world war 2, with Chamberlain, if Oslo taught us anything, it is that appeasement and territorial concessions are a recipe for disaster. There is no question that feathers have been ruffled as the USA starts to call a spade, a spade. The fact that the emperor has no clothes and no one dared to say so is now being discussed openly. NATO member nations always would promise, indeed swear, that they would meet their military spending commitments, even as they had no intention at all of doing so. Fine, said the Americans, since World War II it has been the duty of the United States to lead and protect the West. American presidents would lecture NATO nations about their promised obligations and meanwhile expect public nods and private snickers. In the New York and Washington corridor, the gospel was never to question the changing role or funding of NATO but always to utter “NATO is the linchpin of the West.” This is no no longer the case. The Palestinians always have to remain “refugees” in a way that similar displaced people who were also forced out of their homeland — Prussians, Jews of the Middle East, or Volga Germans — no longer have refugee status, after more than 70 years. The USA has now accepted reality and quit funding the United Nations relief organization that supposedly attends to “refugees” who in reality are a political tool deemed useful for demonizing Israel around the world. The UNWRA self defined status of a refugee is not acknowledged in any other international agency. Jerusalem has long been privately accepted as both the historic and natural capital of Israel, (whether it be all Jerusalem or only a part), and it’s now far more open and freer than it was prior to 1967. But we were not supposed to say that given fears of Palestinian anger, or terrorist attacks, or inflaming the Middle East. Trump in his supposedly reckless fashion simply moved the U.S. embassy to Jerusalem, and other nations strangely are beginning to follow. Even the BDS campaigners are now publicly being acknowledged as campaigning for the destruction of Israel rather than the human rights of the Palestinians. Prime Minister Yitzhak Rabin and Palestinian leader Yasser Arafat signed the initial 1993 accord on the White House lawn. A second accord followed in 1995. In exchange for Arafat’s signed pledge to renounce terrorism and other violence, remove the Palestine Liberation Organization’s Covenant statement denying Israel’s right to exist, and to work toward a two-state settlement, Israel would withdraw from areas with dense Palestinian population and allow a Palestinian Authority to govern 95% of its population. Oslo represented an act of appeasement by the Jewish state. Sick of war and hungry for peace, Israeli leaders deluded themselves into believing that PLO chairman Arafat had accepted Israel’s existence. Israel fell for a grand deception. The Palestinians never changed their covenant, continued their terrorist activities, established a kleptocracy and, at Camp David in 2000, rejected a magnanimous Israeli two-state peace plan – an act that President Clinton called a “colossal mistake.” Arafat began a war of terror that killed more than 1,100 Israelis (78% civilians) and wounded 8,000. In 2008, Arafat’s successor, Mahmoud Abbas, refused an offer that was even more generous. More than a decade after Oslo, Israelis gradually concluded that you can’t make peace with an enemy determined to replace you with a 22nd Arab state. They realized that Oslo was part of the PLO’s “phased plan” to establish political control over territory Israel gave them and use that base to continue the “armed struggle” until it had “liberated” all of Israel from the Jews. 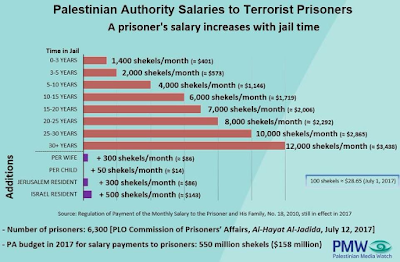 Oslo exacted a painful price, effectively allowing the PLO to transform Judea, Samaria and Gaza into terrorist hotbeds. The PLO achieved international credibility. They created a propaganda machine to defame and delegitimize Israel, added “occupied Palestine” to the world’s lexicon and won the support of the Left. The PLO radicalized the Palestinians and Israel’s Arab minority, openly glorifying brutality and terrorism with religious zeal. Palestinian culture views Israeli compromises, peace offers and “painful concessions” as signs of weakness and vulnerability. Oslo made a bad situation worse, strengthening the Palestinians’ resolve to vanquish the Jewish state. President Trump’s predecessors rewarded the Palestinians for bad behavior and inadvertently fueled their will to fight on. Trump has warned the Palestinians that the US will no longer acquiesce to Palestinian intransigence and that violence will cost them dearly. Tump’s administration rejects the Palestinian claim to the right of return to Israel of the five million descendants of the original Palestinian refugees, withholding its $400 million funding to the United Nations Relief and Works Agency for Palestinian Refugees (UNRWA), with the goal of shuttering that anti-Israel organization that supports Palestinian irredentism (a political or popular movement that seeks to claim/reclaim and occupy a land that the movement's members consider to be a "lost" territory from their nation's past) and terrorism. 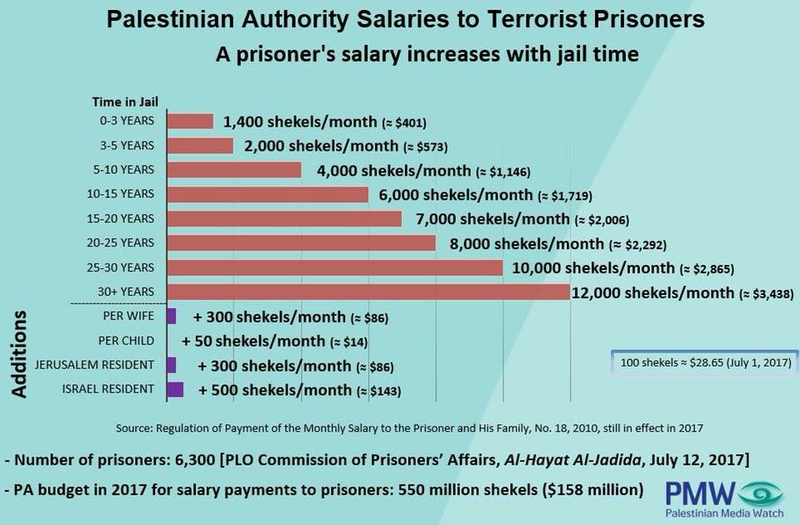 President Trump previously signed the Taylor Force Act, freezing budgetary aid to the PA until it halts its program to pay for terrorism against Israelis, and recently announced a cut of more than $200 million in aid to the Palestinians. Trump is playing hardball. So far he hasn’t fallen into the Oslo trap. He’s attempting to demoralize the Palestinians to destroy their will to fight a lost war. This will take much more time and effort, continued pressure by the US and Israel, and new Palestinian leadership. Israel does not object to diplomatic and commercial ties between Syria and Iran, but it will never allow Iran to turn Syria into a forward military base, Defense Minister Avigdor Lieberman said Thursday in interview with Radio Farda. Liberman said that Tehran’s aggression in the region had led Arab nations to realize that Iran’s extremist regime was their enemy and not Israel. “This may be the first time that moderate Arabs understand that their main enemy is not Israel and Jews and Zionism, but Iran’s radical and extreme regime,” Liberman said. “This shift in attitude is because of the Iranian regime, and of course this is a step forward,” Liberman added. The defense minister told Mirdamadi that Israel has no problem with the Iranian people. “Our problem with this regime is its dogma and every day we hear a speech that it seeks to destroy Israel and will never accept our existence. “Iran’s access to nuclear weapons is the greatest threat to everyone’s stability,” he continued. “Iran’s political ambitions in combination with nuclear weapons will be problematic for everyone.